Find Dunwoody, GA Homes for sale. View Photos, Maps and MLS Data Now! Dunwoody Ridge - Peaceful Back Deck Overlooking A Wooded Back Yard. MLS#6537510. Re/Max Around Atlanta Realty. 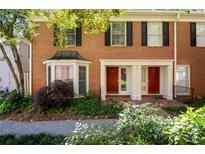 Madison Square At Dunwoody - Walking Distance To Kroger, Starbucks, Restaurants And More. MLS#6537687. Keller Williams Realty Atl Perimeter. Georgetown At Perimeter Walk - Just Painted!Pref Lender Will Give $3000. MLS#6535461. Chapman Hall Realtors. Finished Attic Could Be Used For Storage Or Other. Private Backyard W/Patio. MLS#6535611. Bhgre Metro Brokers. The Gramercy - Stunning Quartz Countertops Throughout, Oversized Kitchen Island And Stainless Steel Appliances. Steps From Sparkling Pool! MLS#6534398. Keller Williams Realty Partners. Dunwoody Ridge - Covered Assigned Parking For 2 Beneath This Unit With Direct Access Into The Unit. MLS#6534238. Duffy Realty Of Atlanta. The Gramercy - Will Not Last, See It Today! MLS#6534005. Redfin Corporation. Dunwoody Club Forest - The Huge Full Finished Basement Also Has A Large Workshop Area. Come And See For Yourself. MLS#8559663. Keller Williams Atl.Perimeter. All Ready For Your Enjoyment Right Away! MLS#6533036. Taylor Morrison Realty Of Georgia, Inc.. Photos Not Of Actual Home But Same Floor Plan. MLS#6531348. Taylor Morrison Realty Of Georgia, Inc.. Photos Not Of Actual Home But Same Floor Plan. MLS#6531114. Taylor Morrison Realty Of Georgia, Inc.. This Home Has A Great Location Minutes From Brook Run Park, I285, Perimeter Mall. This Home Will Not Last. MLS#6530415. Harry Norman Realtors. 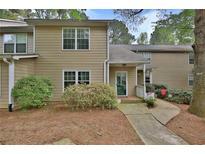 Sterling Of Dunwoody - Minutes From Lianne Levitan Park And 5 Minutes To 285. MLS#6529115. Harry Norman Realtors. Madison Square At Dunwoody - New Carpeting In The Bedrooms, All Hardwood Finish Through Out Living Area, And Tiled Bathrooms. Furnishings Also For Sale. MLS#6528326. Keller Williams Rlty, First Atlanta. 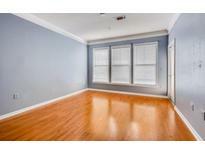 Excellent Location, Easy Access To I-285 / Ga-400, Marta, Minutes To Perimeter Mall & Walk To Brook Run Park! MLS#6528961. Keller Williams Rlty-Ptree Rd. Community Features Plenty Of Green Space, Interior Sidewalks, A Pool And Bocce Court And Park Benches. MLS#6527769. 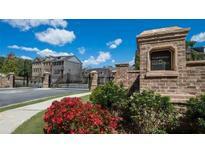 Taylor Morrison Realty Of Georgia, Inc..
Georgetown At Perimeter Walk - Yes It Has A Garage Plus It'S In A Gated Community Plus A Community Pool. MLS#6524244. Wilcher Properties Group, Llc..
Easy Access To Hwys, Shopping & Restaurants. 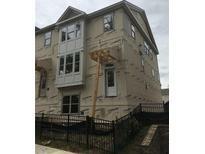 MLS#8547417. Parkside Brokers. Sterling Of Dunwoody - Complex Features Pool, Exercise Room, Clubhouse, Garden Area And Several Outdoor Grilling Areas. MLS#6522934. Beacham And Company Realtors. All Ready For Your Enjoyment Right Away! MLS#6521250. Taylor Morrison Realty Of Georgia, Inc..
Madison Square At Dunwoody - Unit Has Two Assigned Parking Spaces Perfectly Alligned Near Garage Entrance. MLS#6520578. Solid Source Realty, Inc..
Community Features Plenty Of Green Space, Interior Sidewalks, A Pool And Bocce Court And Park Benches. MLS#6520569. Taylor Morrison Realty Of Georgia, Inc..
Madison Square At Dunwoody - Easy Access To 285/400, Buckhead And Sandy Springs. MLS#6520577. Keller Williams Realty Atl Perimeter. Madison Square At Dunwoody - Hardwood Floors , White Kitchen With Back-Splash , Mud Area With Laundry Units , This House Has It All. 2 Parking Spaces Assigned . MLS#6520125. Century 21 Results.